Pirate Brands Smart Puff - Real Wisconsin Cheddar - Case of 12 - 4.5 oz. No need for a cheat sheet, the formula is simple. 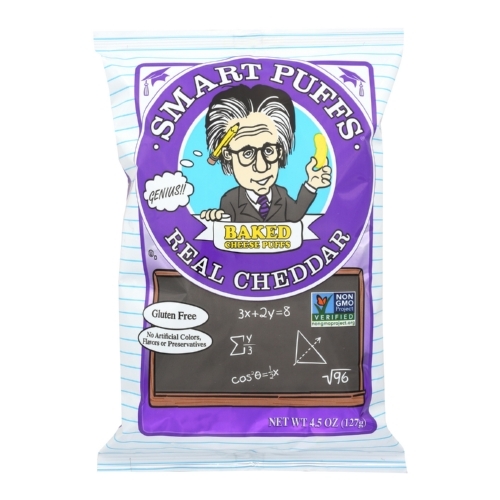 Smart Puffs is made from the finest milled American corn and tastiest Wisconsin Cheddar.